When people want to choose a rug for their homes they have an array of options to choose from. Some may want a Persian rug for the living room, a nylon runner for their hallway, or a circular rug made out of olefin. There are many different materials you rug could be made out of, but if you want a rug that will warm up your floor and last for years you should start taking a look at some wool rugs. 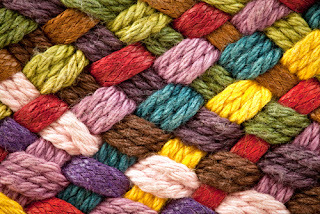 Wool isn't just for sweaters anymore, more people are still buy wool rugs because they see the value the rugs have. If you want a rug that won't require a lot of cleaning a carpet made out of wool would be the perfect carpet for you. Wool is naturally resistant to staining, you won't have to worry about frequent vacuuming or other typical rug upkeep tasks. A wool carpet would also be a good choice if you want a rug that will stay brightly colored long after its purchased. Wool soaks in dye well, and it keeps the pigment locked in its natural fibers. If you'd like to have a carpet that was produced in an environmentally friendly manner, a wool rug would be the perfect choice. Wool is a renewable resource and doesn't require a lot of chemicals or industrial changes to make it fit for using. Another significant benefit of having a wool carpet is the material's strength. Wool is an extremely durable material since the natural crimp wool fiber has makes the material resilient. The natural strength of wool also helps make the material last longer than most other synthetic fibers. If you'd like to add a rug to your kitchen one made out of wool would be preferable, since wool is self extinguishing the material is natural fire retardant.